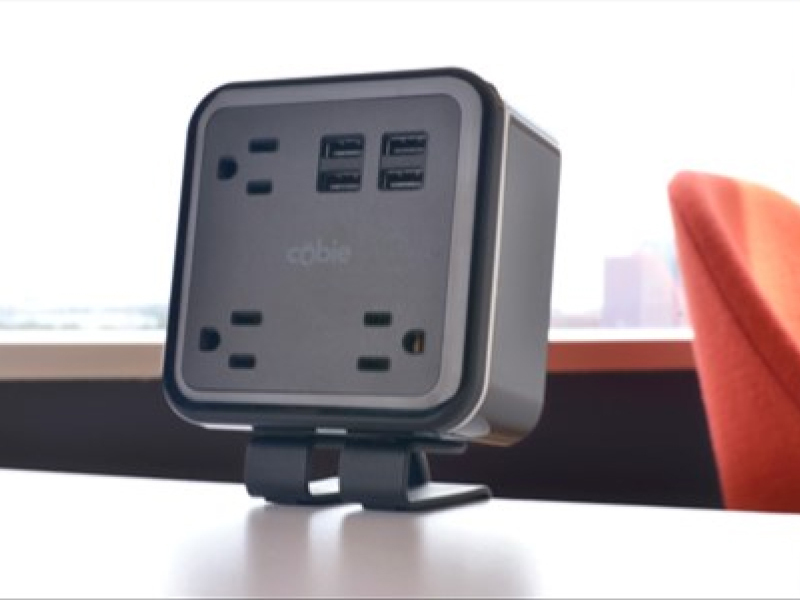 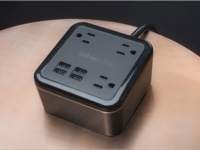 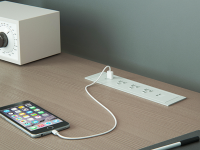 Dimensions: 5" x 4" x 2"
NEW - The Edge-Mount Portable Power & USB Hub has been powerfully redesigned to easily bring additional power to the hotel desktop or nightstand. 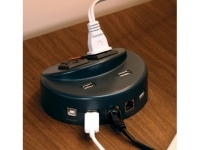 This retro-fit option offers 3 Power Outlets / 4 USB Charging Ports as well as a pass-through plug and security c-clamp. 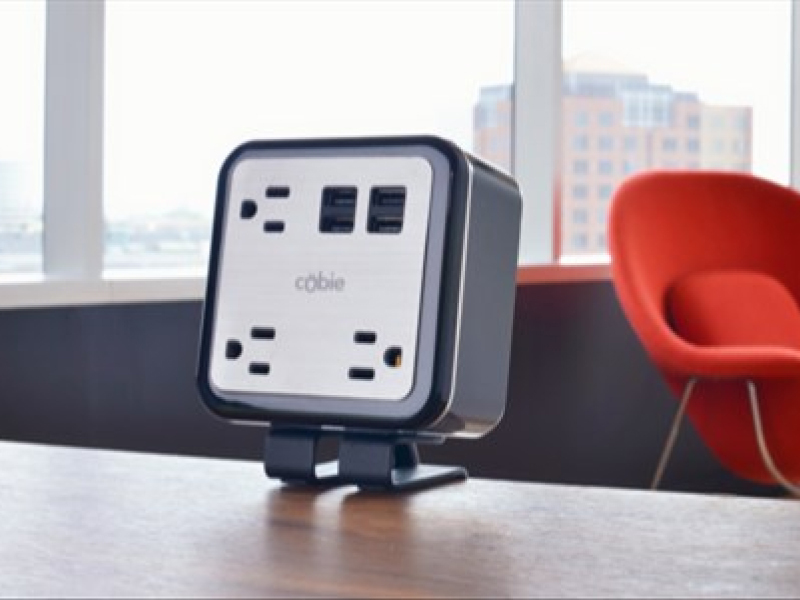 Edge-Mount Portable Power & USB Hub provides complete surge and overcurrent protection as well as passes the UL Spill Test. 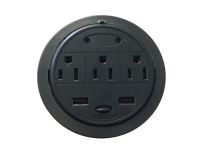 Includes two protective faceplates: Black and Silver. 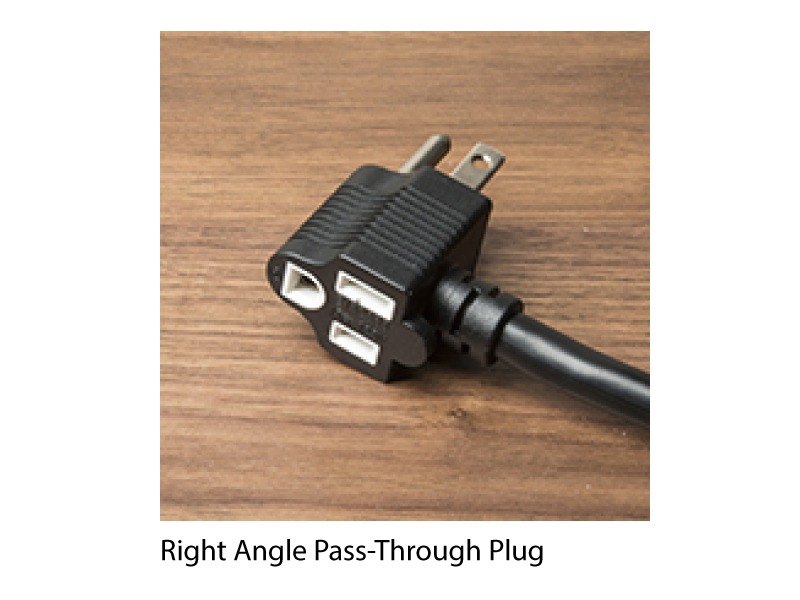 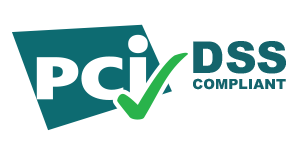 Optional 10 ft Cat5e Ethernet cable with retractable weight feature.